The Times of India app offers everything that an avid news reader is looking for – breaking news, latest headlines, trending stories and in-depth coverage of sports, entertainment, business and technology. From India news to world news, political news to cricket news, technology news to Bollywood news and movie reviews of Bollywood, Hollywood and regional films – get the most relevant coverage of celebrity news. 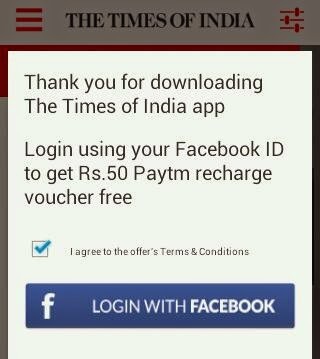 Times is back with another offer for free Recharge,just download the times of India app for your mobile and get free 50 Rs Recharge. The process is very simple, just follow the steps below to get your coupon. Download the Times of India app from Google Play Store. Once you log in successfully, you will see another pop-up window displaying your Paytm code. 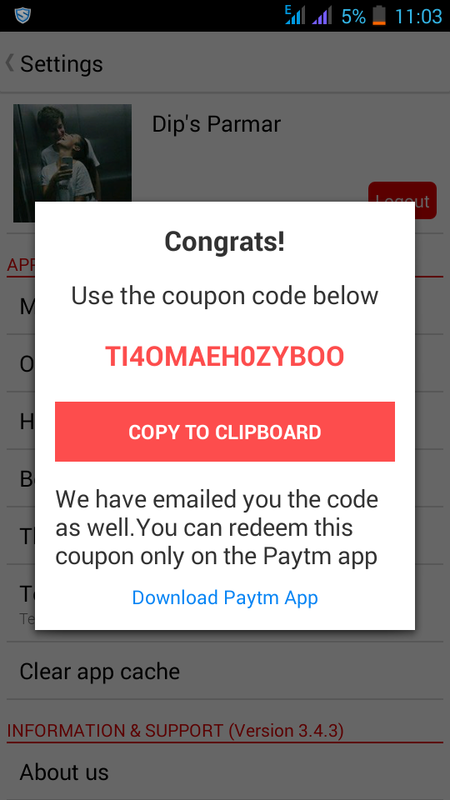 You can use this code in Paytm mobile app to get your recharge. You can also view your coupon code on Settings>offers. thank you dip!s .. u r awsm . .
We are updating latest offers and recharge tricks. Great facts. Thank you regarding delivering all of us really useful facts. Keep up the nice work and carry on delivering all of us for more excellent facts very so often. download free apks. Excellent information on your blog, thank you for taking the time to share with us Mobdro for iPad. I think the Blogs are great and good learning experiences we all get from each other’s views. A true learning experience. I wish all of you best of luck, I will be envious if I don’t win but such is life. happy new year. regards apksfile. Your blog was absolutely fantastic! A great deal of great information and this can be useful some or maybe the other way showbox apk.